BOOKS - - KATHRYN ROSSATI - Author. Poet. Proofreader. The poems in this rich and imaginative debut collection speak of people, life, loss and love. They weave threads of myth and fairytale into commentaries of society, explorations of self, nature and humanity. 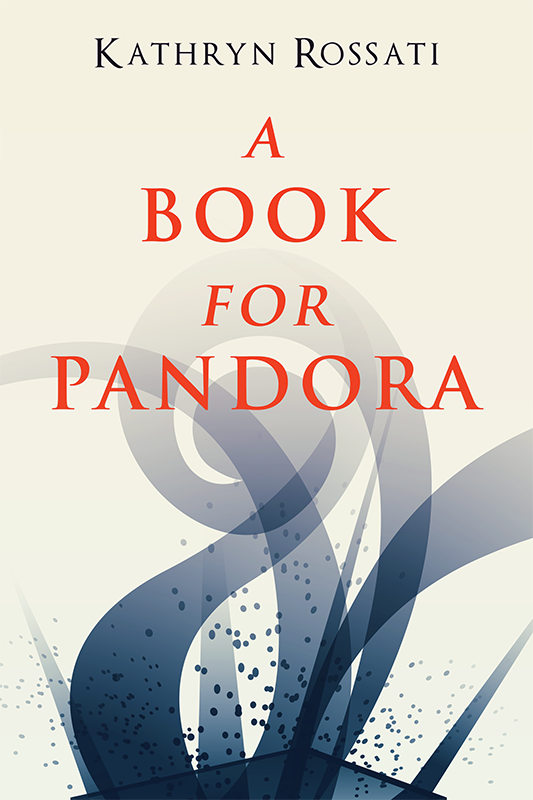 Some surreal and sinister, others playful and light, the poems in A Book For Pandora encompass an array of flavors that will delight any reader. Michael is a young bookworm who really believes in magic. But even he isn’t prepared for what lies behind the secret door in the school library: Treeshallow, a parallel land where all known stories originate from. Michael’s appearance there isn’t an accident. After he sets to find the famous wizard Ramble, the two learn that the school librarian, Mr. Rogers, has been taken captive by a band of demons known as the Desrai. After six years in the Wizard Council, Thordric's confidence in his magic has grown tremendously. But when High Wizard Vey, Thordric's superior and closest friend, goes missing, he faces his greatest challenge yet. Between finding a way to save him and trying to keep things calm at the Council, Thordric finds himself venturing to the four countries surrounding Dinia to seek out other forms of magic. But his quest is far from easy... and dangers he never even dreamed about soon spring onto his path. Set three years after Thordric's misadventures in Book 1, he now finds himself tracking down the Wanderers - wizards who never joined the Wizard Council - in an attempt to inform them about the Council's reform. However, he not only finds them, but an ancient wild magic that threatens to overthrow the eccentric town of Valley Edge, too. Can he use the skills he's gained over the years to fight it off? For his whole life, Thordric has been told that his magic is dangerous, and that he must never use it. All over Dinia, half-wizards are treated the same, their magic labelled as dangerous and uncontrollable. When High Wizard Kalljard is murdered, it falls to young Thordric to solve the case. The only trouble? The murder was done by magic, and though Thordric is a half-wizard, he has never fully used his powers. To prove himself right and find the murderer, Thordric has to learn how to control his own powers. But can he learn fast enough, and find the perpetrator in time?